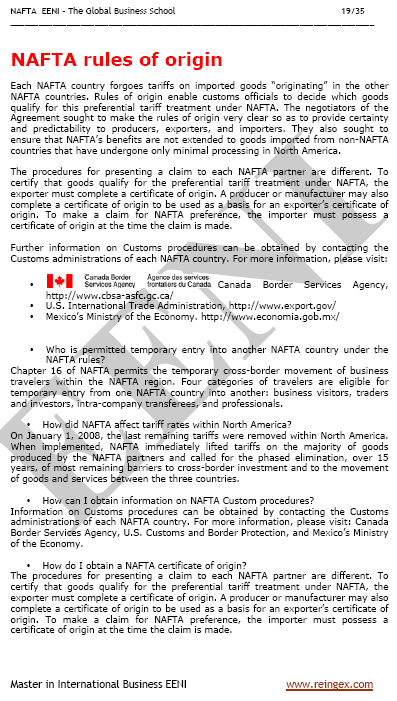 Syllabus of the Online Course (Subject): North American Free Trade Agreement (NAFTA). 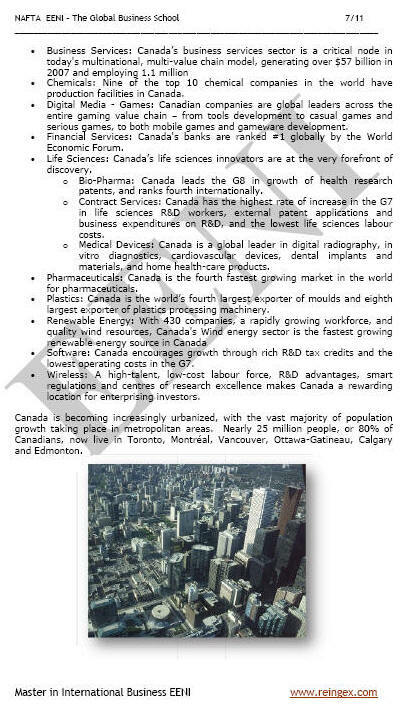 Description of the Online Course: North American Free Trade Agreement (NAFTA). In 1994 was created the North American Free Trade Agreement (NAFTA), a regional trade bloc formed by Mexico, Canada, and the United States (America). 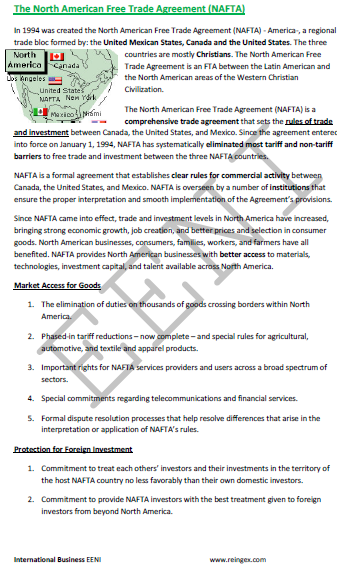 The North American Free Trade Agreement is an FTA between the Latin American and North American Economic Areas (Western Christian Civilisation).